Click on the cover image to view sample pages. 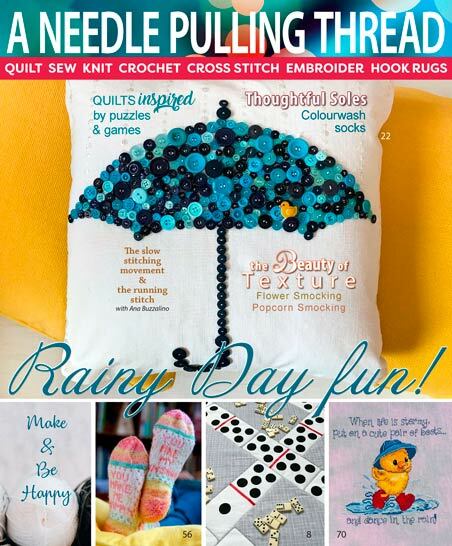 A rainy day can be very gloomy, but it can instantly become an opportunity for crafting bliss! Let us offer you some suggestions for projects inspired by rainy day activities. 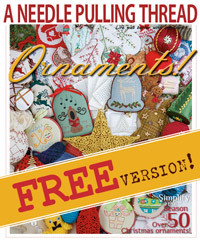 In this issue, you’ll find quilts of all sorts inspired by games like dominoes, I spy, hopscotch & word puzzles. Cozy knits, perfect for lounging around the house, including the In the Mood Tunic, the Comfort Crescent Shawl (in the very soft Chic Sheep merino wool yarn) and Colourwash Socks from the Thoughtful Soles Series which will have you singing ‘You are My Sunshine’ the whole day long! There’s also a tutorial on how to attach buttons, and a cushion cover project that was born out of sheer button love! And then there’s the cutest duckling wearing cute red boots in the rain – can you resist it? Rainy days are a great opportunity for reorganizing your sewing studio or craft room. 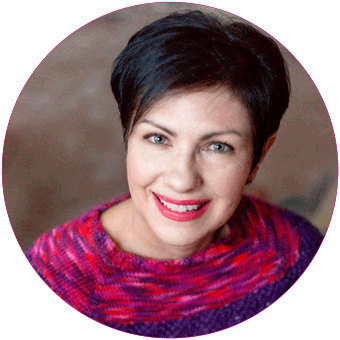 Let Cynthia MacDougall help you with great tips on how to sort things out and finish the job for crafting bliss! Join us for a terrific issue!! the needlework pages, your online resource for everything needlework! Find shops, supplies, events and more! 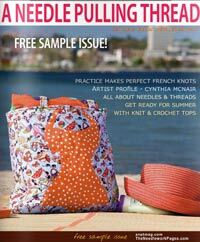 Click here for a list of shops that carry A Needle Pulling Thread Magazine. Order our Issue 49 digital version! Click the images below to view now! Click on cover image to view sample pages. Published for those who EAT, SLEEP, QUILT and REPEAT, ANPTmag Quilting Book 1 is a stunning collection of simple, fun, and gorgeous quilting projects. Click on the cover to see a Preview. Purchase this digital issue for your iPad, Android, or PC/Mac for only $8.95! 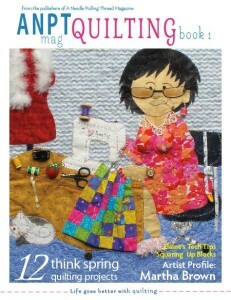 Elaine’s Tech Tips, Quilting with Elaine Theriault!